Grind grated coconut to a smooth paste and keep it aside. Heat oil in a pan or pressure cooker and add chopped onions, garlic, ginger, green chillies, tomato and curry leaves and saute well. Add chilli powder, coriander powder and turmeric powder and saute for 2-3 minutes. Add cleaned mutton , cinnamon, cloves and salt and cook well adding little water. When cooked, add ground coconut paste and allow to boil. Fabulous twist to a western ingredient. 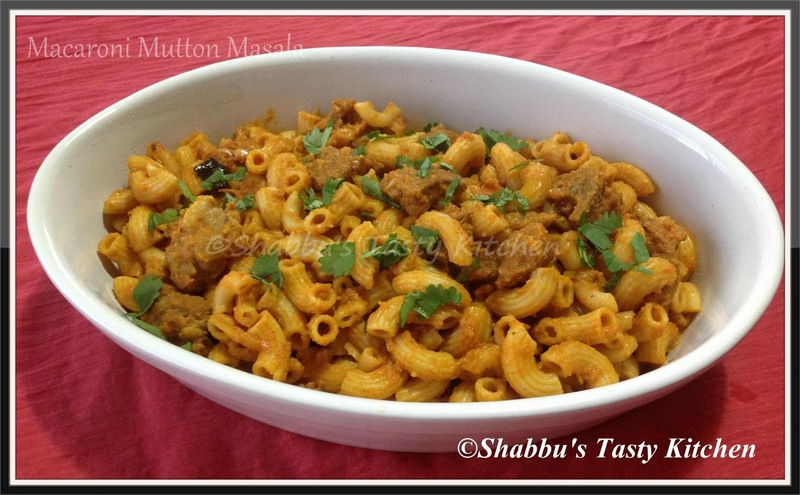 I adore the lovely spiced up taste in the macaroni.